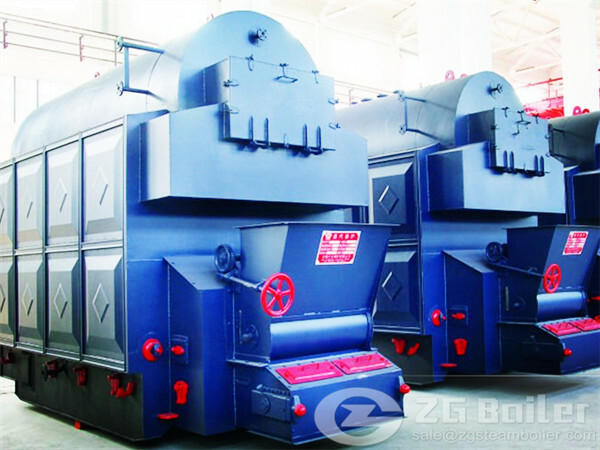 ZG is a chain grate boiler manufacturer in China. Our chain grate boiler including: DZL packaged coal fired boiler, SZL coal fired steam boiler, DHL coal fired boiler, and SHL coal fired boiler. These types of chain grate are sold well in India. They are well received by the local customers. We had successfully installed a 10 ton coal fired chain grate steam boiler for textile industry. We are proud of this project. Chain grate boiler price is a focused issue when one is to buy a set of chain grate boiler used in their industries such as textile mill, garment factory, paper mills, power generation, etc. 6 ton coal fired chain grate boiler price is a hot issue in India. The chain grate boiler price can be fluctuate significantly as the difference of brand , pressure , size , service , capacity, certified standards, the price of material, the thickness of the wall, the automatic level,etc. The higher the pressure is ,the higher the cost is the horizontal chain grate boiler price. The chain grate boiler for sale adopts corner tube pattern, self-supporting structure. This type of structure is easy and compact. Both air preheater as well as the coal economizer adopt carton pattern structure, which makes sure that it is usually transported easily and save the installation time, and strengthens the seal character of fuel gas duct. ZG as a famous chain grate boiler manufacturer in China with 70 years experience, have rich experience on boiler installation, boiler maintenance, boiler design etc. Our products, like 7 ton coal fired boiler and 10 ton coal fired boiler are widely used in different industries.